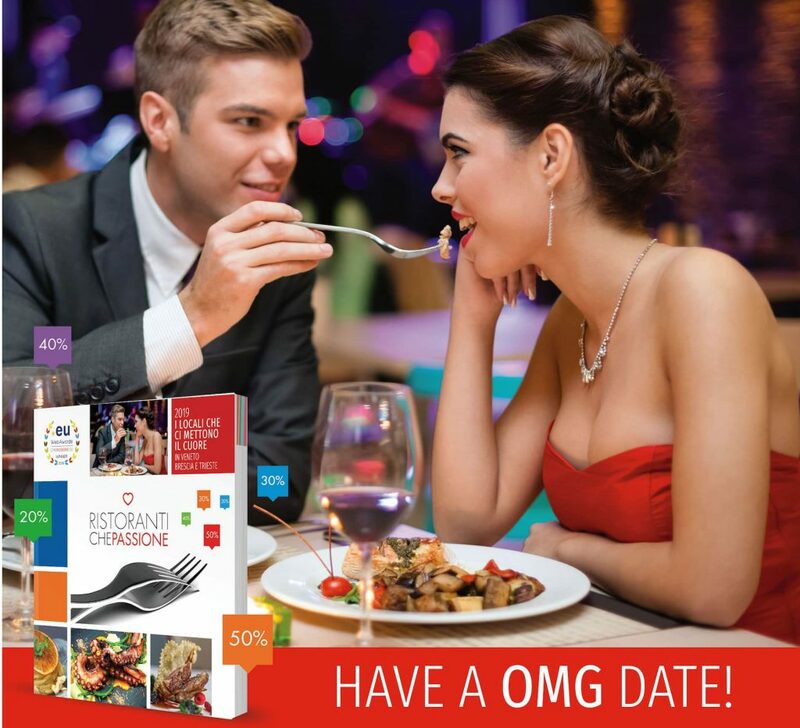 Special Offer: UP TO 50% for a Couple Date (or just a two persons dinner) in 180 North East Italy Restaurants. 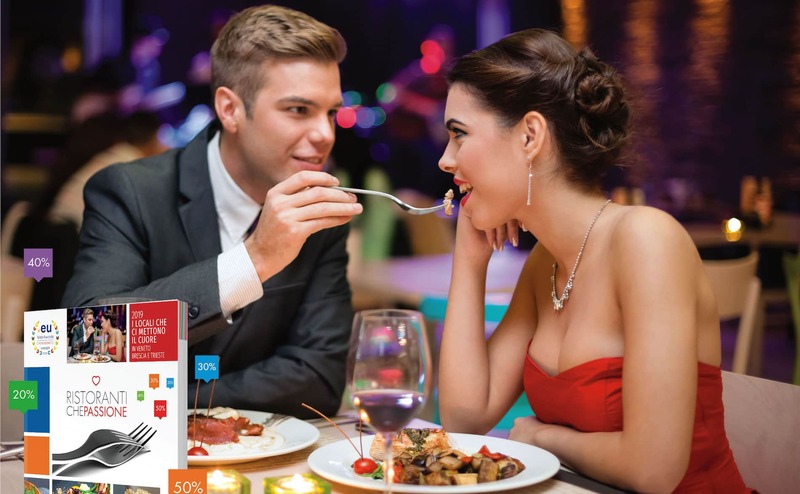 Ristoranti che Passione Restaurants Guide and Membership Card is a perfect gift for S. Valentine’s Day and then allow you to enjoy Italian food experiences for one year. Just hi quality selected places and dishes with an excellent discount up to 50%! If the Italian language is a problem, don’t worry, thru the paper guide or the app or the website you can search just for the restaurants which are provided with English language a la carte menu. 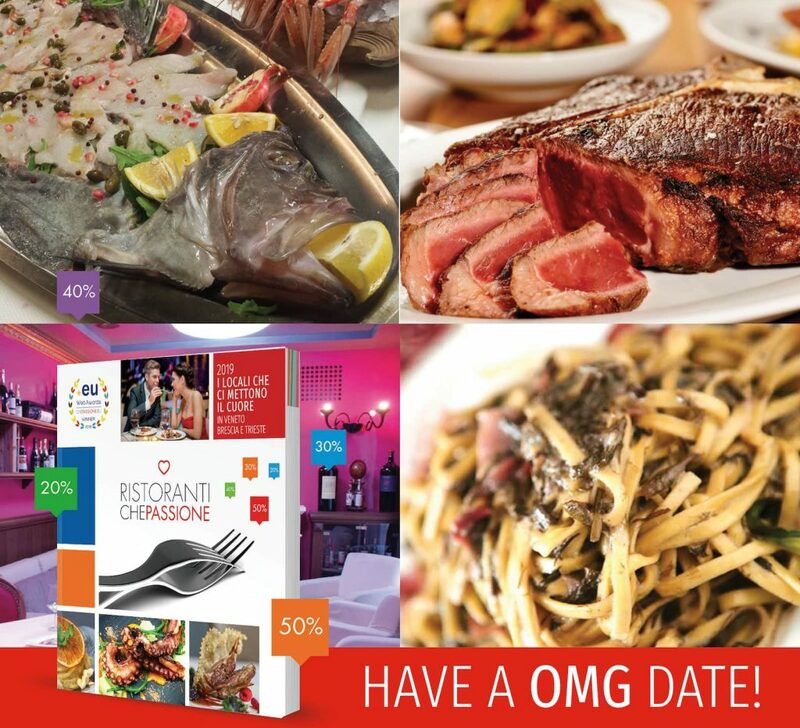 Download the free app “che passione” or visit www.chepassione.eu and use the code ITALYBYUS to receive an extra 10% discount to order our guide with 4 photos for every restaurant. 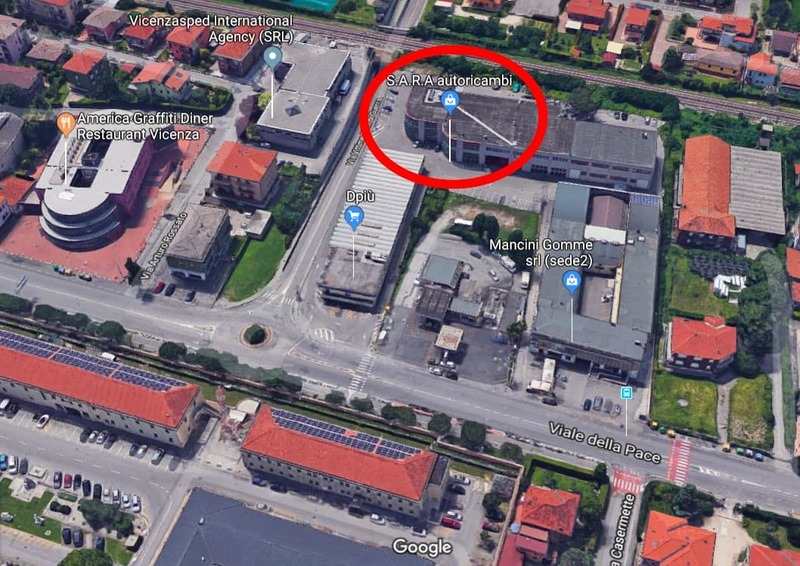 Otherwise you can request for the closer book shop where to find the paper guide / membership card or again visit the Ristoranti Che Passione shop / office located inVia Riviera Berica 69, Nanto. The lunch or dinner deal is for a couple of people and includes every dishes with 20, 30, 40, up to 50% discounts, depends from the weekly day and the restaurant. Drinks not included.